Every year, millions of foreign travellers and holidaying Turks flock to seaside resorts on the south and west coasts of Turkey. Also known as the Turkish Riviera or Turquoise Coast, the lure of a relaxed lifestyle, copious amounts of sun and a nautical theme, is hard to ignore. Comprising of the main sailing hubs of Bodrum, Marmaris, Fethiye and Antalya, as well as smaller less known towns and villages, the landscapes and ancient historical sites make it quite unlike any other place in the world. Another theme to the Turkish Riviera is the Blue Voyage routes. Attracting RTW international travellers with small budgets, spending three nights on a traditional gulet boat is a lifetime experience that is hard to beat. The ability to accommodate budget and luxury holidaymakers is probably the biggest reason for the Turkish Riviera success, and many people take it a step further by buying property. Either as an investment, holiday home or for permanent living, the vast choice of apartments and villas represent an alternative lifestyle that is within everyone’s reach. The western resort of Yalikavak on the Bodrum Peninsula recently boosted its profile on the Turkish Riviera with a state of the art marina designed to accommodate millionaires and billionaires. Its popularity started before though as an ideal relocation area for British expats. Mainly attracted by favourable prices, the new marina raised the value of their homes. 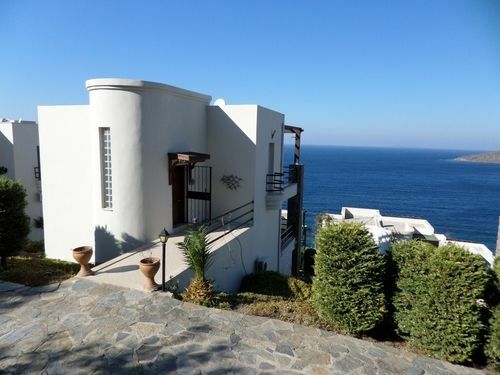 Another feature of many Yalikavak properties is the stunning, panoramic sea views as seen in this triplex, 3-bedroom, and 3-bathroom villa, our reference BOD1336VIL. Including a ground floor studio apartment and communal swimming pool, it is the perfect property for families looking to indulge in coastal living. Emphasising the luxury scene of Yalikavak, these new build villas incorporate the theme of traditional stone houses that are typical of the Bodrum region. Combined with modern features such as infinity pool, landscaped gardens, and sauna fitness room, the property is also close to the marina, our reference BOD1168VIL and the upscale restaurants and shops. An integral aspect of the Riviera lifestyle is al fresco dining, and the full sea view terraces fronting the villas are perfect places to embrace it. Moving around the coastline to Fethiye, this resale four-bedroom villa in Calis Beach our reference FET1015VIL fits in with the flat, scenic landscapes of the southern region. Calis is another popular expat haven and package holiday resort for British holidaymakers, yet is close to the hub of sailing that is Fethiye town centre. The discreet distance from the marina of Fethiye makes this an affordable price for buyers who want a property on the Turkish Riviera but are not interested in sailing. The private swimming pool also makes it perfect for families seeking peace and quiet. Another affordable property that is a short drive away from Fethiye marina and town is this 4-bedroom villa in Ovacik, our reference FET1345VIL one of the lesser-known Turkish Riviera destinations. Part of the popularity for this small town is the low real estate prices enabling many middle-budget families to own Turkish properties. A short bus ride away is the famous landmark of the Blue Lagoon or the upscale restaurants of Fethiye. 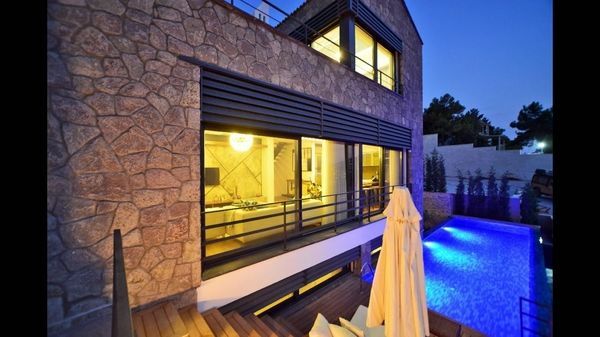 While coastal life is idyllic in Turkey, some buyers want modern cons combined with traditional aspects of mountain living, in which case, Uzumlu steps up to the mark. 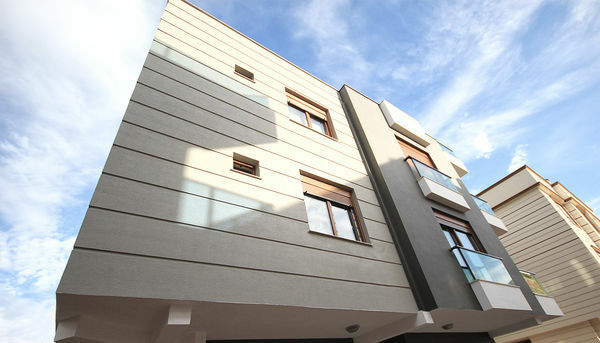 Belonging to the Fethiye district, but away from the coastline, owners can customise their future homes. This 4-bedroom villa is a perfect example of a gorgeous property selling for attractive prices. Combining the traditional themes of tall ceilings, visible landing, and Turkish style pergola our reference FET1076VIL, residents also have a beautiful swimming pool to make up for the lack of seaside relaxation. Continuing the theme of tailor making your home, buyers can alter this off plan 3-bedroom villa our reference FET1328BNG to their personal preferences for living spaces. Bungalows are a rare feature in Turkey, but Uzumlu is the perfect location due to its flat landscape with mountain views. This property also has the best of both worlds, because it is a new build encompassing the traditional stone theme and just a short distance from the village centre where traditional Turkish life is thriving. Further, up the coastline from Fethiye, the hilly upmarket coastal resort of Kalkan is renowned for emphasising the luxurious face of the Turkish Riviera. The architecture of properties is distinctly more modern and streamlined as well as incorporating recent trends. Thanks to the hilly landscape, most Kalkan properties also have fantastic sea views, as seen in this fully furnished 4-bedroom villa our reference KAL930VIL. Future owners can enjoy sunset Mediterranean dining on the balcony terraces. Alternatively, the upscale restaurants of Kalkan with their roof terraces are just a short distance away. 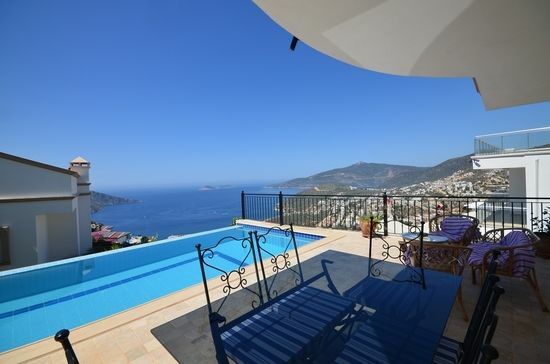 The Kalamar area of Kalkan concentrates heavily on luxury Turkish Riviera property. This villa with private garage and parking our reference KAL545VIL emphasises a typical example of a suitable home for permanent year-round living. 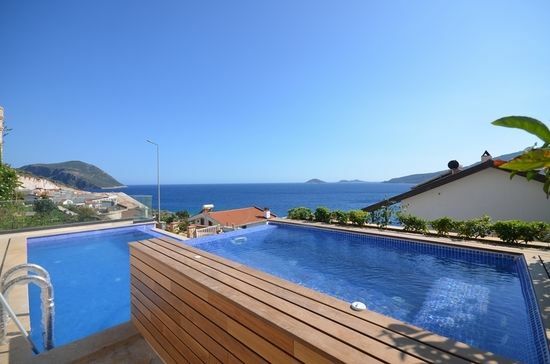 Its short distance to public beaches and detailed features such as the infinity pool, Jacuzzi bath and en-suite bathrooms also makes it ideal as a buy-to-let investment since Kalkan is renowned for high rental potential. Heading further east, the metropolitan district of Antalya comprises of many smaller coastal resorts such as Alanya, Belek, and Kemer. One of the main hubs of the Turkish Riviera though is the centre, hosting its luxury marina, and large shopping malls. Within this, the Lara beach area receives much fame because of its sandy coastline, luxury 5-star hotels and proximity to everything and anything. These renovated apartments our reference ANT1278APT, traditionally built for year round living cash in on the location as well as the stunning sea views. In summer, they perfectly emphasise the lifestyle of the Turkish Riviera and coastal resorts. 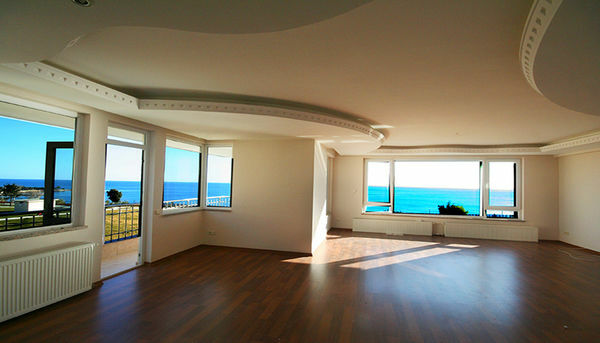 A seaside Turkish Riviera property increases in price significantly. That is where the builders of these apartments set back from the main Lara Beach district reference ANT1318APT have been able to compromise with a location set back from the coastline but including modern and stylish features. Perfect as a holiday home or for a couple, they include practical living spaces, and all amenities and facilities are within walking distance. While the apartment is missing a gorgeous view of the Riviera, it more than makes up for it with the modern bathroom, fitted wardrobe, and large communal roof terrace. Further Reading: See our extensive property portfolio featuring many more apartments and villas on the Turkish Riviera. Including off-plan, resale, new build, budget and luxury homes, they highlight why the south and west coasts of Turkey are popular with foreign buyers and holiday makers.